Quick overview An introduction to the work of Turner. J.M.W. 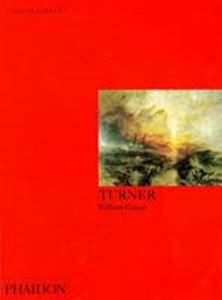 Turner (1775-1851) is the most masterly of British painters. His work exploits the great traditions of European painting, while anticipating the development of modern art in the twentieth century. As a Romantic, he was from his earliest works sensitive to the dramas found in land and seascapes, though increasingly light and colour alone became all-important to him. He travelled through England, France, Italy and Switzerland, and his views are possibly the most imaginative evocations of these countries ever painted. The essay by William Gaunt, an acknowledged authority on British art who died in 1980, was originally published in 1971. Notes to the plates and many black-and-white illustrations were added in 1981, making this the perfect introduction to one of the greatest British masters.